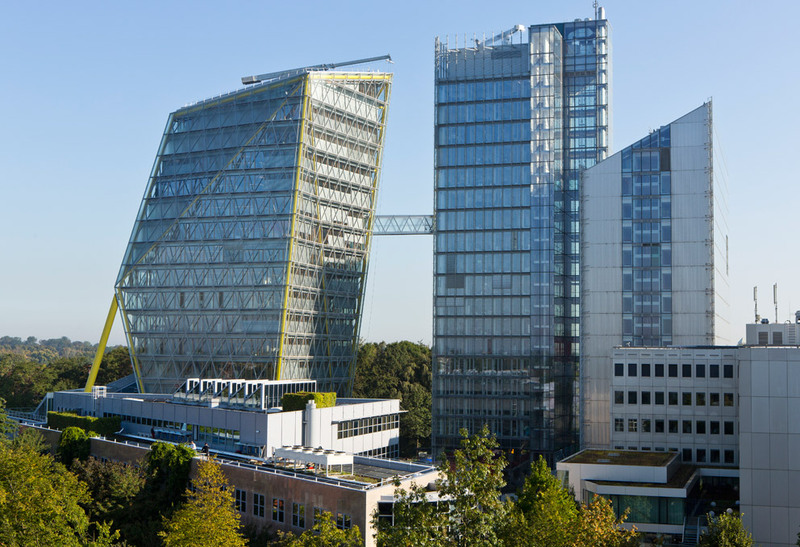 The headquarters of Münster’s Agricultural Insurance Association, or LVM, has been extended: “Kristall” is the name of the new build that is located on the Kolde Ring in the city’s southwest and docks onto its elder brother, named “LVM 5-Tower”, using a connecting bridge on the 11th floor. The vitreous office high-rise with the spectacularly tilted crystalline façade was masterminded by Korean architect Duk-Kyu Ryang. 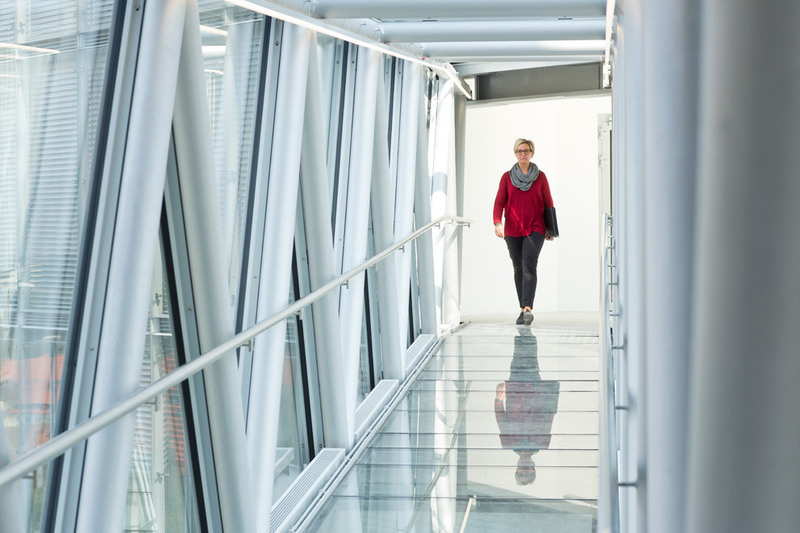 At a height of 63 meters, “Kristall” is large enough to accommodate 500 workstations, training rooms and an auditorium, not to forget the swish “Skylobby” right at the top. When planning the high-rise, the architect and his clients also found themselves contemplating issues of mobility and logistics. 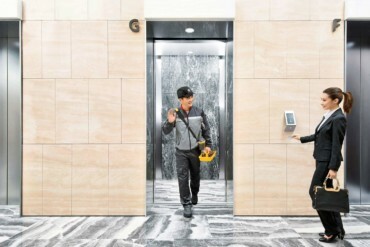 Among the imperatives was that employees easily find their way around the building and swiftly reach their destinations – without having to spend ages waiting for the lift. 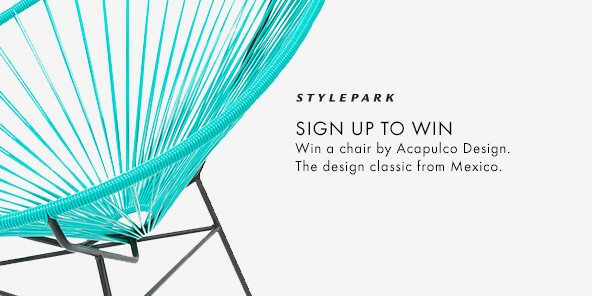 A dynamic floor plan, open-plan spatial concepts and differently colored walls as “sign posting” now assist orientation. 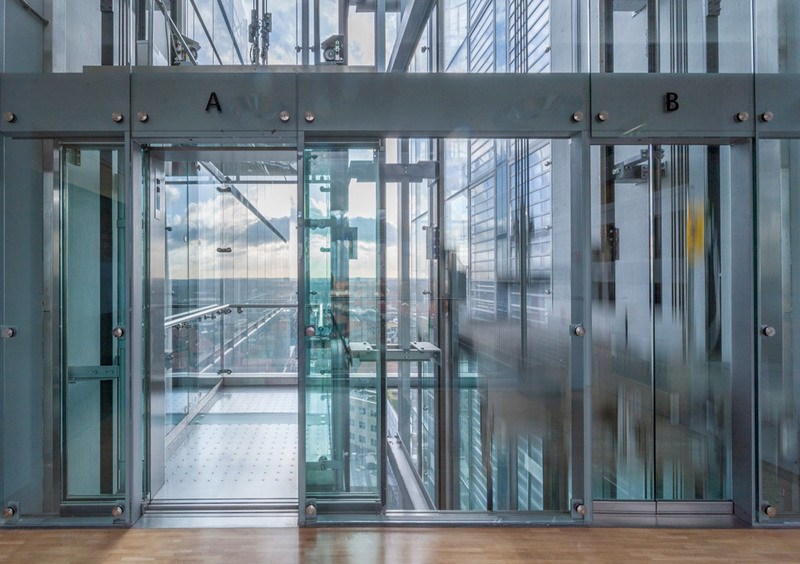 In order to ensure smooth transitions between different floors – as well as between the two structures – the architects opted for high-performance lifts from Schindler, which were custom-made specially. 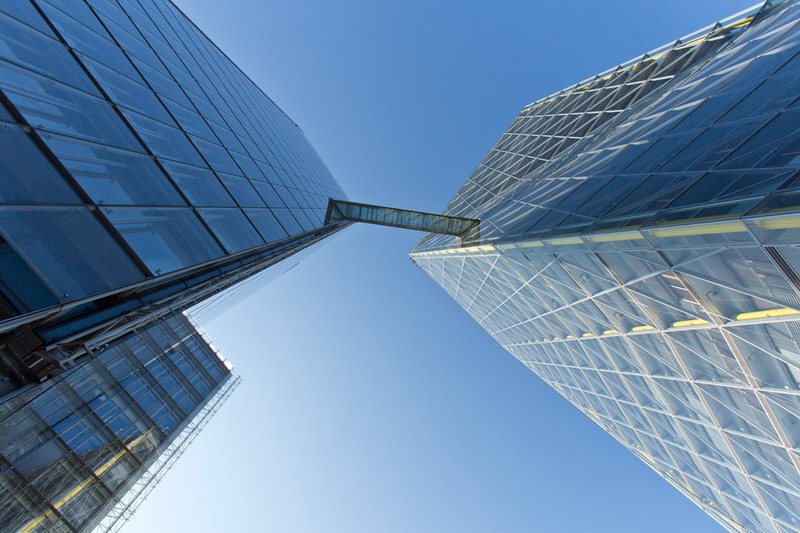 A truly indispensable asset: the “Port” traffic management system which coordinates all elevators efficiently and ensures that cabins are used to optimum capacity. This is how it works: Employees select their destination at one of the “Port Controllers” in the elevator lobby, long before they enter the cabin. 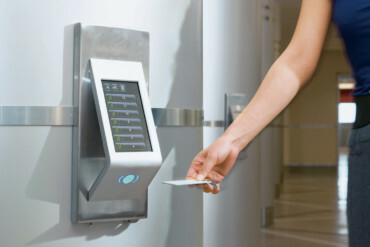 The system then assigns one lift to people sharing the same destination, thus avoiding unnecessary stops and above all, saving valuable time. 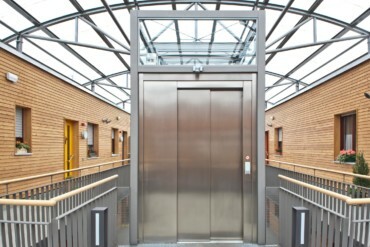 And that’s not all: Designed as small “power plants”, these elevators produce more energy than they actually need. 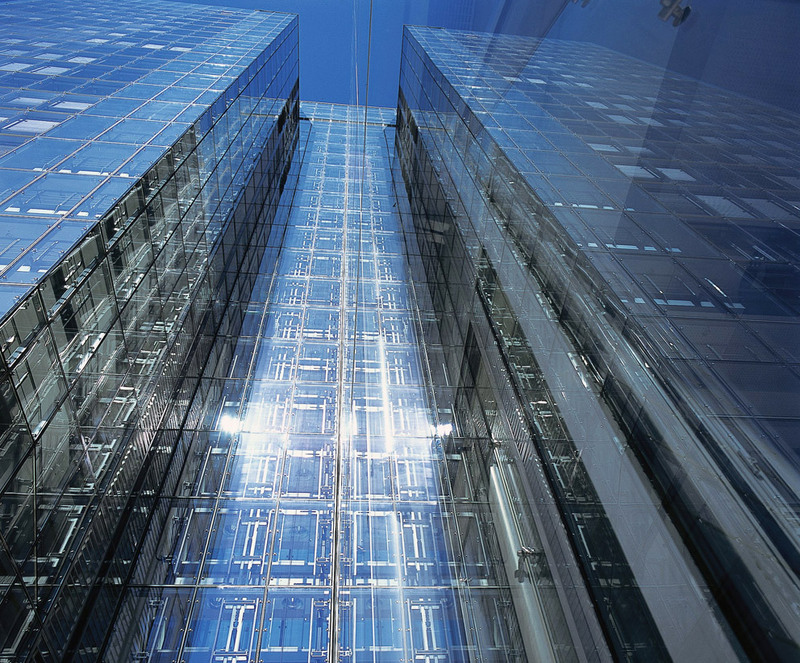 Any excess energy is fed back into the supply grid of the new office high-rise, which has been conceived as a surplus energy building. 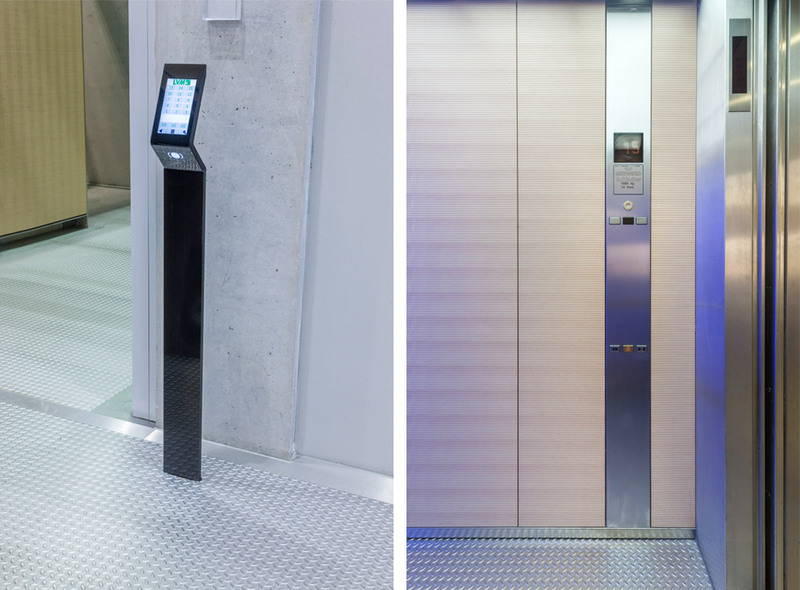 Moreover, the lifts have great visual appeal: Glazed rear walls offer a vista of the illuminated elevator shaft, where the LEDs emulate the color coding of the various floors. Moreover, no unsightly technological devices have been mounted atop the cabin roofs as it proved possible to accommodate them in full in the elevator machine rooms. 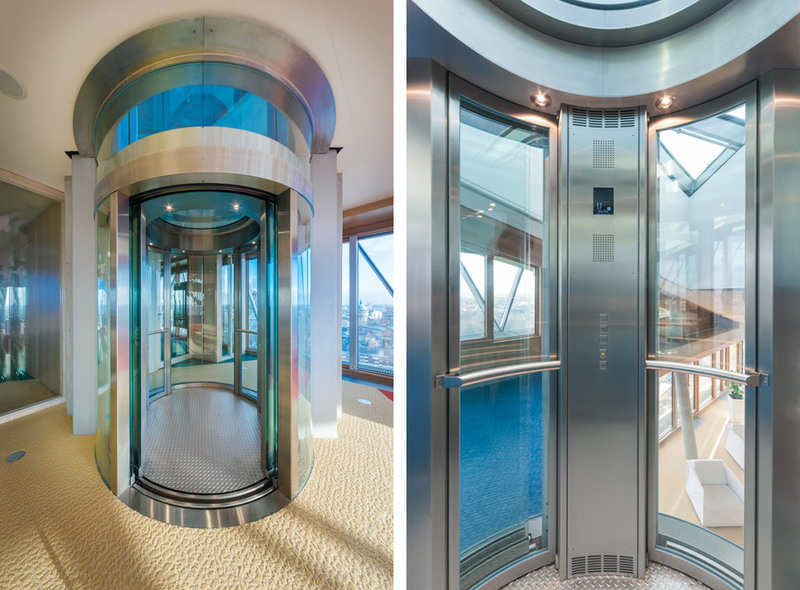 Another aesthetic delight is the panorama lift with a fully glazed cylindrical cabin, which operates on the upper floors and offers a fantastic view of Münster as it takes passengers right up to the top of “Kristall”. 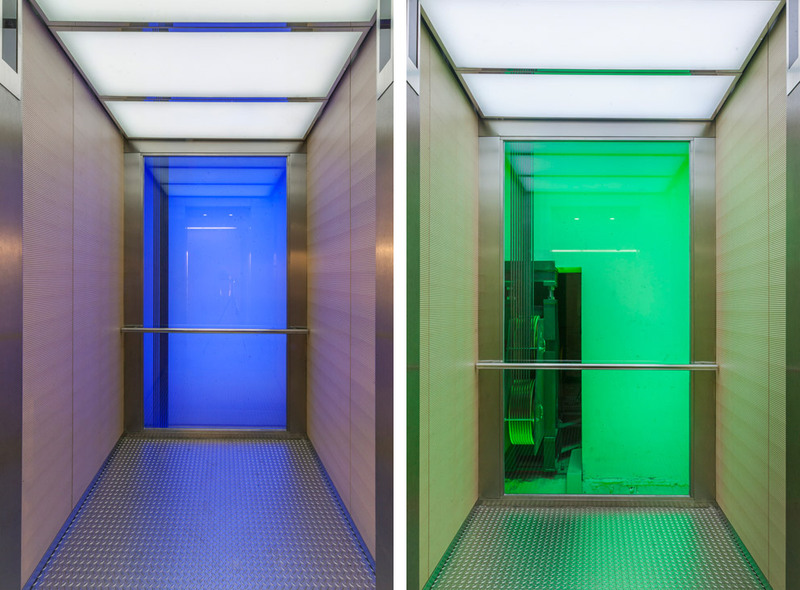 Each floor uses a different color design to provide orientation. 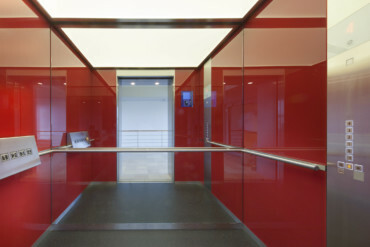 Glass rear cabin walls offer a vista of the illuminated elevator shaft, which takes up the color concept.